Do you want Financial Planning & Analysis (FP&A) and Accounting to play nice in the sandbox? Do you find you’re often comparing numbers in your data to ensure everything ties together? We'll show you 5 easy signs to know you've outgrown spreadsheets. You'll also hear how leading Finance organisations made the leap from spreadsheets to accelerate their planning and reporting cycles and drive better decision-making. Discover how high-performing finance teams have cut planning cycle times by embracing rolling forecasts. Join us for a practical, informative webinar on the popular tips and tricks for becoming more effective with Excel spreadsheets. You’ll also learn how to best use Excel with other finance systems. Sidestep common budgeting mistakes with clear examples of budgeting gone bad and these actionable tips to improve budgeting quality, cut cycle times by more than 50%, and roll up hundreds of spreadsheets across all users in minutes, not days. Discover the key dashboard elements you need to identify gaps and opportunities in your performance—and take immediate action. Best-in-class organizations are using dashboards—with their ability to drill deep into data and unearth potential—to accelerate decision-making and deliver trusted business results. Discover what leading finance organizations already know about rolling forecasts: Learn five actionable strategies to help you shave 75% off your planning cycle time. Also, learn how to accurately forecast decision-driving KPIs, and better prepare for opportunities and risks through efficient contingency planning. Many CFOs feel their teams don’t have the right skills and behaviors to drive excellent performance. Learn practical strategies for demonstrating the competencies that CFOs and senior leaders expect from high performers. We'll share common pitfalls that limit the effectiveness of dashboards along with tips to address them. You’ll hear real-world examples of how finance teams are delivering insightful dashboards to drive business decisions in minutes, not days. Listen in as Hitesh Peshavaria, Partner at Deloitte, and Kerman Lau, Vice President of Finance at Adaptive Insights discuss how organizational leaders can create a culture of analytics so teams can deliver accurate data, analysis, scenario plans an more. Dare to Dashboard: Stop pulling data, start delivering insights. Watch this informative webinar and find out how to start delivering actionable insights with your dashboards. You’ll learn how to stop the pain of gathering data so you can spend more time on value-added analysis. Join Loren Den Herder, Director of Business Application Development at Moss Adams LLP, to learn best practices for turning raw performance data into intuitive KPI dashboards. Discover why improving visibility into key metrics provides insights that improve margins, profitability and executive decision-making. Gathering data through Adaptive Planning allows for quick, in-depth reporting and real-time answers about profitability and margins even during seasonality and changing economic conditions. Learn how and why to increase line managers’ engagement to maximize your return on investment in corporate performance management solutions. Achieve better operational insight, increase alignment around strategy, and gain greater organizational agility. Learn how to quickly and accurately produce impactful, high-quality reports and dashboards. By confidently communicating relevant information in the right format, decision-makers focus on analysis and make informed, timely decisions with positive results across the organization. Learn how to implement a single source of truth to end debates about data integrity and achieve organizational alignment. On tap: techniques to leverage existing resources to unify financial and business data, and real-world examples from companies that achieved better visibility into data and established clear accountability. Get access to the top five budgeting secrets for nonprofits that are looking for a way to provide more insightful and timely knowledge—not just hand over the data. 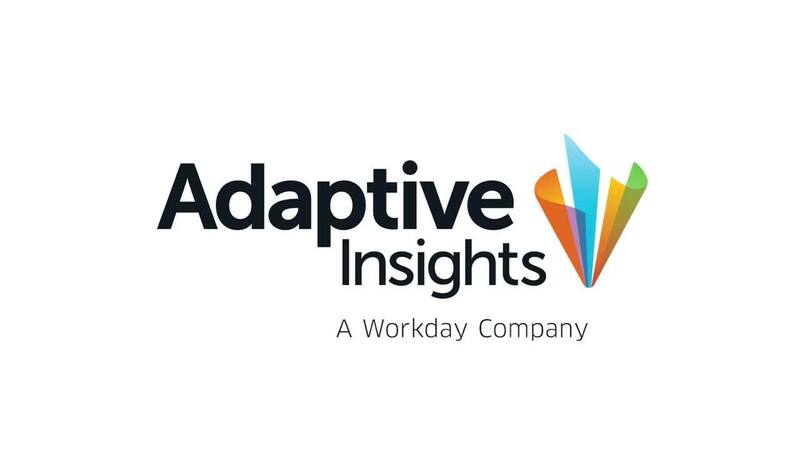 Adaptive Insights demonstrates how nonprofits can conduct in-depth, dynamic reporting by dimensions, such as fundraisers, programs, and donations. Learn how to build a robust revenue model that nimbly responds to changing business needs and accurately predicts business performance. Done well, revenue planning helps finance managers quickly identify important trends, respond to root causes, guide investment decisions, and control critical targets. Join us for a practical, informative webinar on new techniques you need to create a forecast that is accurate and drives strategic and investment decisions. You’ll learn how to create a forecast that accurately reflects key business drivers and aligns expenses with revenues before spending gets out of control. Learn the techniques for accurate forecasts that paint the big picture of business performance and highlight opportunities for high-ROI investments. Learn more about the FP&A best practices for Biotechnology and Pharmaceutical organizations. Join us to learn how healthcare organizations like the Mayo Clinic have redefined their planning, reporting, and performance management. We’ll show you ways to manage uncertainty with continuous planning and rolling forecasts, support data-driven decisions, and track and control costs. Join us for an exciting customer panel discussion with Elizabeth Dionne, director of finance at College of the Holy Cross, and John McGrath, budgeting manager at Babson College. They’ll describe how they’ve made the transition from tactical to strategic—and elevated the role of finance to better address emerging challenges. Gain actionable frameworks and approaches to lead transformation of the finance function at your organization. Citing these real-world examples that show how organizations have successfully revamped their FP&A processes virtually assures buy-in from upper management. Learn how to leverage the “gold mine” of your data on hand without the heavy number-crunching. The latest innovations in reporting and dashboards make relevant data accessible, cut reporting cycle time by 75%, and deliver the actionable insights business leaders want and need. Learn about the planning and execution necessary for initial public offering (IPO) readiness. Transitioning from a private to a public company requires organized financial performance management. Adaptive software helps to get a financial house in order, as was the case with Ruckus Wireless before, during, and after its IPO. Learn about best practices for revenue planning. Tips include leveraging advanced analytics to identify business performance metrics, incorporating external market indicators, and continuously fine-tuning KPIs that drive revenue models. Learn best practices for preventing mistakes and streamline the time-consuming process of monthly, quarterly and year-end close. Overcome fears of the unknown in deploying a new performance management tool. CFOs need a modernized finance solution to develop broad strategies, drive innovation, and make data-driven decisions. We discuss what to expect and how companies successfully overcame challenges when implementing new finance technology. Get a blueprint for planning people-centric organizations. Core ideas, next-level topics such as allocations, and strategies to enable a more fully integrated planning process are included. Access best practices and design recommendations that optimize your Adaptive Planning model for robust profitability planning, reporting, and analysis across any dimension in your organization. Learn practical strategies for cutting inefficiencies from your current budgeting and planning process. Explore easy and efficient ways to incorporate rolling forecasts and continuous planning into your processes—without adding to an already full plate. Real-world examples and best practices illustrate ways to strategically wield real-time data for improving revenue, utilization, and margins. See how energy and utility company finance teams are rethinking their planning processes to accurately forecast and maximize profitability based on changes in pricing, demand, and capacity. Get real-world examples of how they using rolling forecasts, even at the plant level, to be more strategic and reduce inefficiencies. Discover how finance teams at manufacturing organizations are revamping planning processes to accurately forecast profitability. Fluctuating raw material costs, demand, and production volume affect the bottom line. Manufacturers are using rolling forecasts and real-time data to respond more quickly and strategically. Discover the case for implementing rolling forecasts in software and technology organizations. Continuous planning goes beyond budgets. It tracks business performance in response to economic changes and growth. Financial management in Adaptive Insights software allows on-the-fly changes with real-time data from multiple sources. Save your time—and your sanity—when implementing rolling forecasts in your organization. Steve Player, managing director of the Beyond Budgeting Round Table, explains the advantages of continuous planning in a volatile marketplace, and the process to migrate from annual budgets to rolling forecasts. Learn how higher education institutions employ best practices that reduce costs and improve productivity. Integrating data sources, consolidating information, and improving visibility into key metrics—across fund, activity, and other dimensions—takes insights that drive efficiency and profitability. Get six proven tips that reduce risk and accelerate the monthly close in your organization. Learn from best-in-class organizations; DayMen, owner of Lowepro, Joby, and Acme Made camera bags and accessories, slashed two days from its monthly close process through consolidating subsidiaries across different general ledger systems. Discover how high-performing finance teams have cut planning cycle times by embracing rolling forecasts. Join our popular guest speaker, Steve Player, as he shares common pitfalls associated with implementing rolling forecasts and practical tips to overcome them. Join us to learn how lean principles can help you get rid of inefficient and duplicate processes so that you can boost your productivity and better serve your internal customers. Watch this informative webinar to hear how Craig Rucker, Vice President of Finance at leading publisher Active Interest Media, evolved his team from “pushing around numbers” into an “operational hub” that plays a key role in strategic decision-making. Join Jeff Epstein, Operating Partner at Bessemer Venture Partners and former CFO of Oracle to learn how to balance the risk of aiming too high or too low with your budgets. Discover how to replicate the success of top-performing data-driven insurance companies. Find out the key financial metrics they use to push growth and profitability, and how to get started in the short and long term. Learn how visual dashboards transform on-hand data into a business asset. Finance empowers business leaders with insights to drive profits and reduce costs, as experienced by investment management and professional services company Jones Lang LaSalle. Find out how business leaders leverage the data on hand to capitalize on emerging trends and expand revenue. Companies make better decisions when they visually analyze KPIs in real time in dashboards using Adaptive Insights' software solutions. Automating sophisticated and customizable reports also accelerates decision-making.